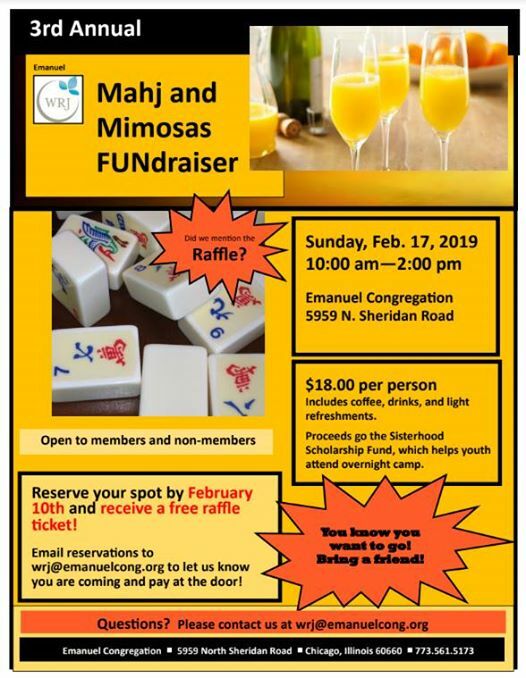 Please come support Emanuel Congregation’s Sisterhood and their efforts to raise funds for the Sisterhood Scholarship Fund to send kids to summer camp. To RSVP, please email wrj@emanuelcong.org by February 10th, 2019! Your admission fee of $18 will be paid at the door, and it includes food, refreshments, and a raffle ticket! For more information, please refer to the cover photo!